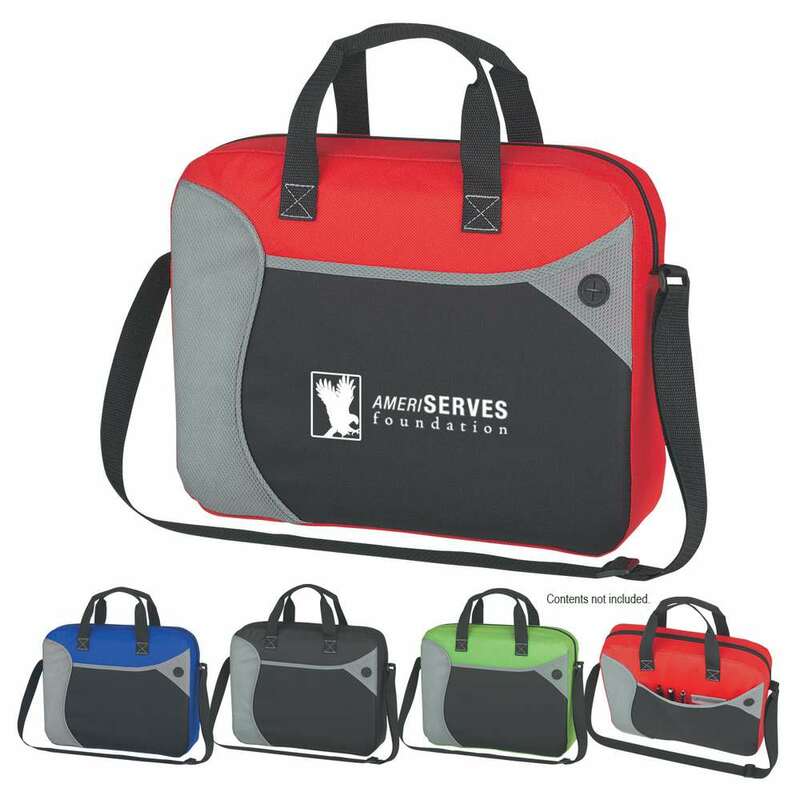 Create waves of appreciation for your brand name by gifting the Wave Briefcase/Messenger Bag, embroidered with your company’s logo, to customers and valued employees. This briefcase/bag is made using a combination of 80 grams, non-woven, coated, water-resistant polypropylene and 600D polyester. Create waves of appreciation for your brand name by gifting the Wave Briefcase/Messenger Bag, embroidered with your company’s logo, to customers and valued employees. This briefcase/bag is made using a combination of 80 grams, non-woven, coated, water-resistant polypropylene and 600D polyester. It is available in attractive colors including black, royal blue or red, all with black and gray trim. There is a zippered main compartment, to keep your belongings safe and secure. The front pocket has compartments, to keep small items intact. An adjustable shoulder strap and two web handles make it easy to carry. There is a convenient built-in slot for ear buds.